I found Hunter S. Jones through Twitter. After reading Fables of Reconstruction, I was immediately hooked by her unique blend of myth and the occult. She does a masterful job of putting a different spin on the zombie genre along with a touch of stunning erotica. Here’s my interview with Hunter and your opportunity to get to know this mysterious Southern belle a little better. Tell us about Hunter S. Jones? Who are you and what do you do? The art form I create when writing is much more interesting than anything you will ever know or learn about me. However, since you ask, I have lived in Tennessee and Georgia my entire life, except for one “lost summer” spent in Los Angeles. I was always a complex kid. My first published stories were for a local underground rock publication in Nashville. I have published articles on music, fashion, art, travel and history. Currently, I have a music blog and published my debut novella, Fables of the Reconstruction, in 2012. I have a fascination with Edgar Allan Poe and Anne Rice, although like any Southern girl, I will always idolize Margaret Mitchell for writing Gone With The Wind. I live in Atlanta, Georgia with my partner, my books and a million dollar view. Is Fables of Reconstruction related at all to R.E.M.? That’s the best question James and I am so glad you asked it. In today’s made-to-order world, I’m very surprised to find that most people do not even realize Fables of the Reconstruction is the title of an R.E.M. album. If anything, this is my acknowledgement of everything they did for indie artists – first the indie rock movement, and now the indie writer revolution. They were the first alternative artists to ever really hit it big. Have they influenced me? Yes. They are from Georgia. But really, haven’t they influenced ALL of us? Does my book have anything to do with them? No. I just remember hearing years ago that R.E.M. had an album called Fables of the Reconstruction. I thought, well, that’s the name of my book. It just took me 20 years to write it. One thing that’s cutting edge in literature is that a lot of musicians and writers are realizing the vibe we get from one another. There’s a mingling of our artistic worlds that we are recognizing. Stephen King and John Mellencamp are working on a project, from what I understand. Maybe I just got the vibe early. And, didn’t Bowie work with William S. Burroughs years ago? Can you speak about the Pomba Gira? Pomba Gira found me. While I was researching Voodoo her name kept coming up and I couldn’t understand why since she is mainly a religious cult in Brazil and parts of Spain and Portugal.. Then, one day while researching, I discovered that she is the Goddess of the Guitar. Being from Nashville, that got my attention. And, Fables was inspired by Jimi Hendrix’s Voodoo Child. Who else would a book inspired by a Hendrix song be dedicated to if not the Goddess of the Guitar? SHE had to be a central part of the story. I believe in fully supporting the work of fellow artists. The Hendrix quotes are an analogy. The only words I used from Voodoo Child in Fables were “Don’t be late”. Describe the characters in Fables. They seem to be a zombie/vampire hybrid. Probably because of the New Orleans Creole Voodoo connection. We can all thank Anne Rice for that. Vampires live forever. Pierre von Minzle is on limited time. That’s why Mary is damaged in the reanimation process. Pierre was in a hurry and didn’t know what he was doing. He has to get on to his next thing in order to survive. Haitian Vodou (an editor had me Americanize it to voodoo for Fables) changes people into zombies for two reasons – possession and desire. 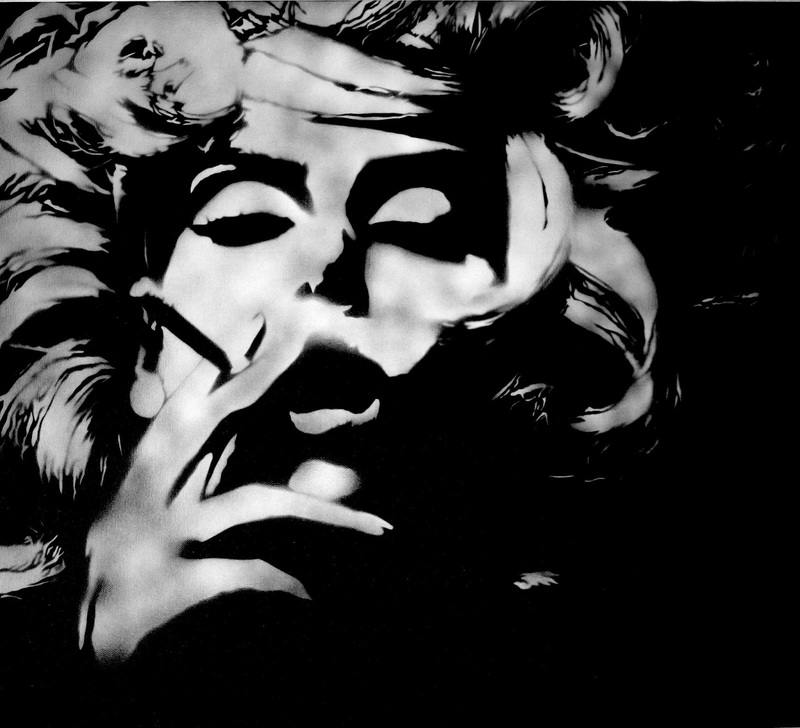 Possession, mainly for reasons of prostitution (which is in Fables) Desire is self-explanatory. I’ve lived in Nashville but not Atlanta. What’s the difference between the two cities? Atlanta has more people. I love both cities deeply and each city has it’s own unique charm. Nashville is Hollywood and Atlanta is Manhattan. Yes, that’s the best way to describe them to you. 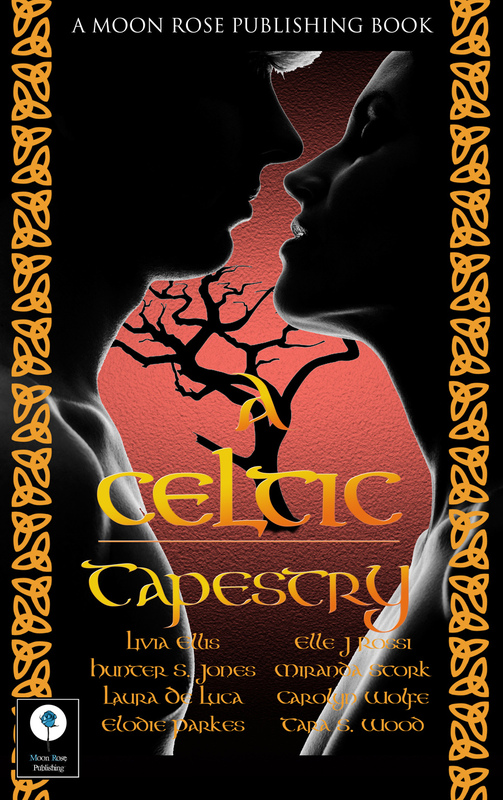 The next release is a Moon Rose Publishing anthology called A Celtic Tapestry (order here). Eight authors have come together to give their own twist on these festivals, weaving each story with a blend of myth, magic, and contemporary telling…to create A Celtic Tapestry (Livia Ellis, Hunter S. Jones, Laura DeLuca, Elodie Parkes, Elle J Rossi, Carolyn Wolfe, Tara Stogner Wood). My story, Magic in Memphis, is the Yuletide story. It’s a contemporary love story, and I wanted to acknowledge the modern day solitary Wiccan practitioner and how they fit the Wiccan belief into today’s lifestyle. I actually studied with a Third Elevation Wiccan Priest to insure that the Wiccan belief was given the proper symbolism and respect.